Starting a business or side hustle is not for the faint of heart. It takes guts, patience, and above all, drive. I can’t even begin to tell you how many projects I have started that didn’t end up working out. But I didn’t let those setbacks discourage me from pursuing my dream of running my own business. I have tried and failed. I have also tried and succeeded. 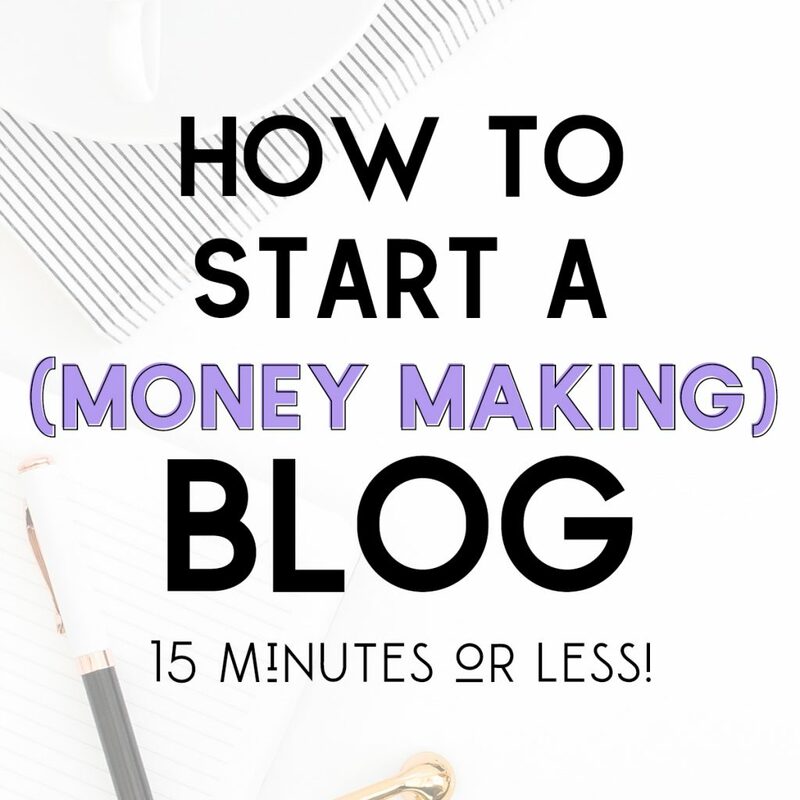 I have worked a side hustle while working a 9 to 5, and I have started a business that has become my full-time job. 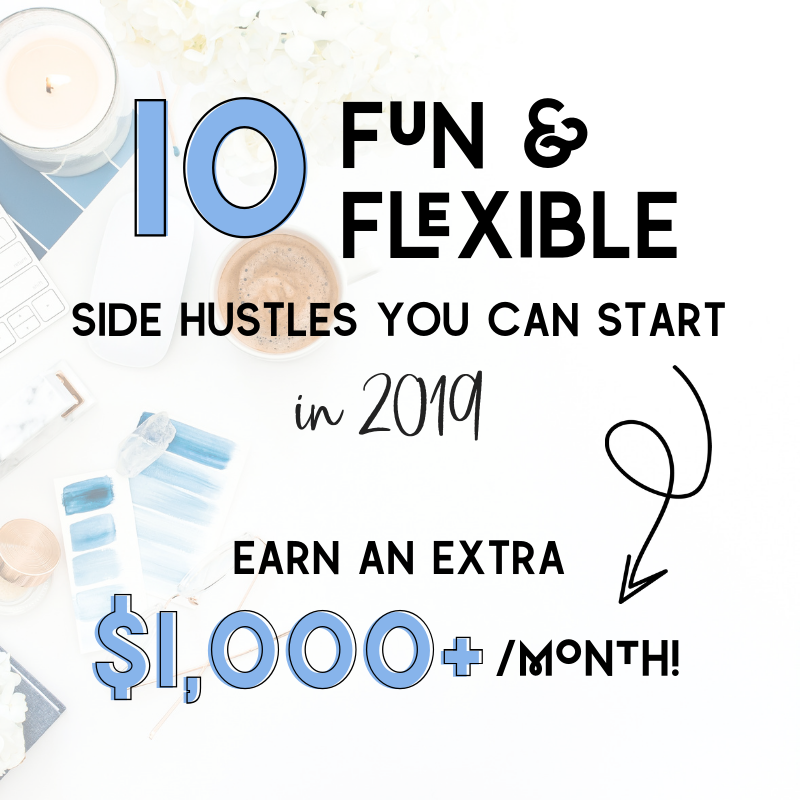 There are so many reasons to start a side hustle; whether you’re an aspiring entrepreneur, hoping to quit your day job and work for yourself one day, someone whose salary just doesn’t cut it, a stay-at-home mom looking to make money online while the kids are napping, or someone who simply needs a creative outlet, side hustles are where it’s at! But, while there are many ways to approach a side hustle, there are more ways not to. Don’t treat it like a side hustle. Treat it like the real thing. For any side hustle to be successful, it must be treated like a real job. If you don’t, you won’t take it as seriously and thus, won’t spend enough time and effort on it. Set deadlines, create goals, and follow a schedule. Work those late nights knowing that if you don’t, the work won’t get done. The longer it takes for the work to get done, the longer the idea is just that… an idea. This is especially so if you hope to one day transform it from a hustle to your primary source of work and income. Nobody earning a significant income off of their side gig did so by treating it like a recreational activity that they tended to when they felt like it. Believe in it, and yourself. If you don’t believe in the project, why should anyone else? No matter what the idea is, you are catering to someone, right? If you can’t convince your target audience, customer or client that what you have to offer is worth it, why in the world would they bother with it? No one is going to believe in it until they see that you do. At the same time, you must believe in yourself. If you don’t trust that you are capable of making this side hustle your b****, you’re not going to make it your b****. Plain and simple. No successful business person got successful by telling themselves that they can’t do it or that they aren’t smart enough to make it happen. Don’t quit when you face setbacks. If it were meant to be easy, everyone would do it, right? The reason that so many people fail when creating their own business is that they are unable to take the hard times in stride. When they experience a setback they throw in their cards and wash their hands of the idea, deeming it a waste of their time or destined to fail. According to Forbes, 8 out of 10 businesses fail. There are a bevy of reasons for this, but one thing that most of those who have failed have in common is that they gave up too soon. It is really easy to take a few hiccups as a sign that a business won’t succeed. But rather than calling those hiccups a bad sign, why not use them to your advantage? Easy. You learn from it. Choose to learn from your mistakes. There is no such thing as a business that hasn’t faced setbacks. If anyone tries to tell you that they started a business and it was all rainbows and butterflies the entire time, they are lying to you or very lucky. But it is how you handle those setbacks that will truly determine how successful you are. You WILL make mistakes. You WILL be told no. And you WILL fail. But in most cases, you must fail in order to succeed. Our mistakes are what make us think smarter. They help shape our minds to think more logically the next time we face similar situations. You ride your bike across a busy street without looking both ways to make sure it is safe. As you cruise along, you get caught off guard by an oncoming car to your right; a car that you would have seen earlier if you slowed down and took the time to look. When you notice the car coming at you, your front wheel hits a pothole that you would have seen if you were paying attention to what’s in front of you. As a result, the pothole gets the best of you. You fly over the handlebars. The car misses you, thankfully, but you break your arm when you fall to the ground because of your run-in with the pothole. You end up in a cast for the next six weeks. Next time you’re crossing a busy road on your bike, you’re probably going to slow down to check for traffic, aren’t you? The point of this scenario is to demonstrate that when our actions cause negative outcomes, we are more likely to adjust these actions in the future to avoid previous outcomes. We all make mistakes. It’s natural. But what is the point of making a mistake if we don’t take the time to learn from it? The same can be said for starting your own business. It’s important to recognize that not every idea is a good one. Sometimes we get so absorbed in one concept that we let our emotional investment get the best of us. And before we know it, we’ve spent more money and time than the project is worth. I understand that my message may be a little confusing. On one hand I am telling you not to give up, and on the other I am essentially telling you to give up once you hit a certain point. But there is a big difference between giving up when things get hard, and giving up when you’ve exhausted all options. If your idea doesn’t end up being “the one,” that’s OK! It’s better to have tried and failed then to have not tried at all. As long as you can identify when it is time to call it quits. If you’re of the entrepreneurial spirit, you’ll be coming up with your next big break in no time. …but do pay attention. The more time we spend worrying about the success of our “competitors,” the less attention we are giving our side hustles. The fact of the matter is that there will almost always be someone else doing the exact same thing [or something super similar to what] you are doing. It is all too easy to focus our attention on what they’re doing; so much so that we get obsessive. This is NOT healthy, and can harm our own progress. However, you should still take the time to observe those who are doing the same thing you are, especially the ones who are doing it right. To an extent. Use your research to better position yourself competitively. Be aware, but don’t obsess. Ask for help and outsource when necessary. Ever scratch you chin and go, “Huh?” when you read an article about a successful founder or CEO stepping down to a more supportive role? This is because the most successful business people know when to hire people that are smarter than them. You may be thinking, “I thought we were talking about side hustles,” and we are. But that doesn’t mean you’ll never need help. Depending on the scope of your business, you may run into a situation where you either have too much on your plate, or don’t know how to do something. While I do encourage you to teach yourself how to do some of the things outside of your skill set, you should also consider hiring help. 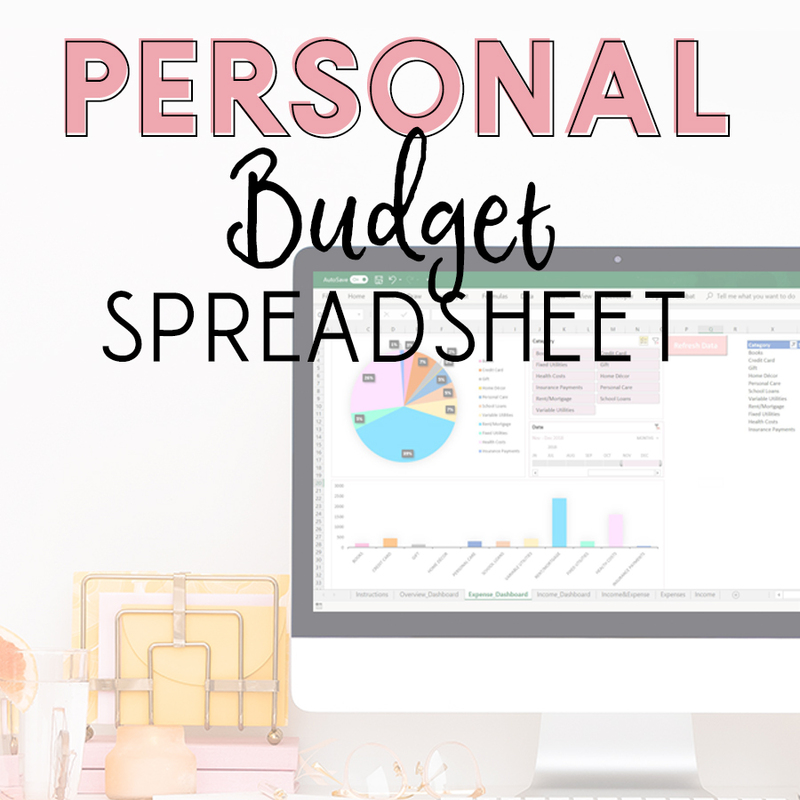 This will not only allow you to focus more on your responsibilities, but will also enable you to take on more work or clients. Aka, mo’ money. 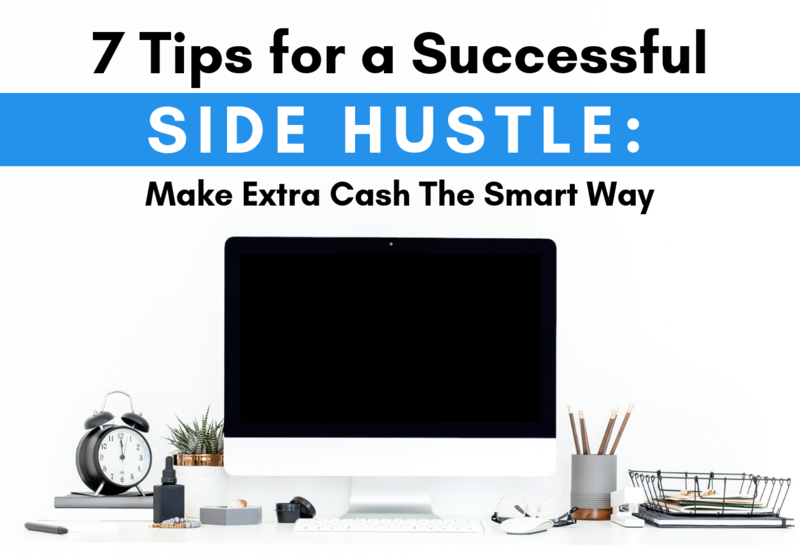 I hope these tips help you take your side hustle to the next level! 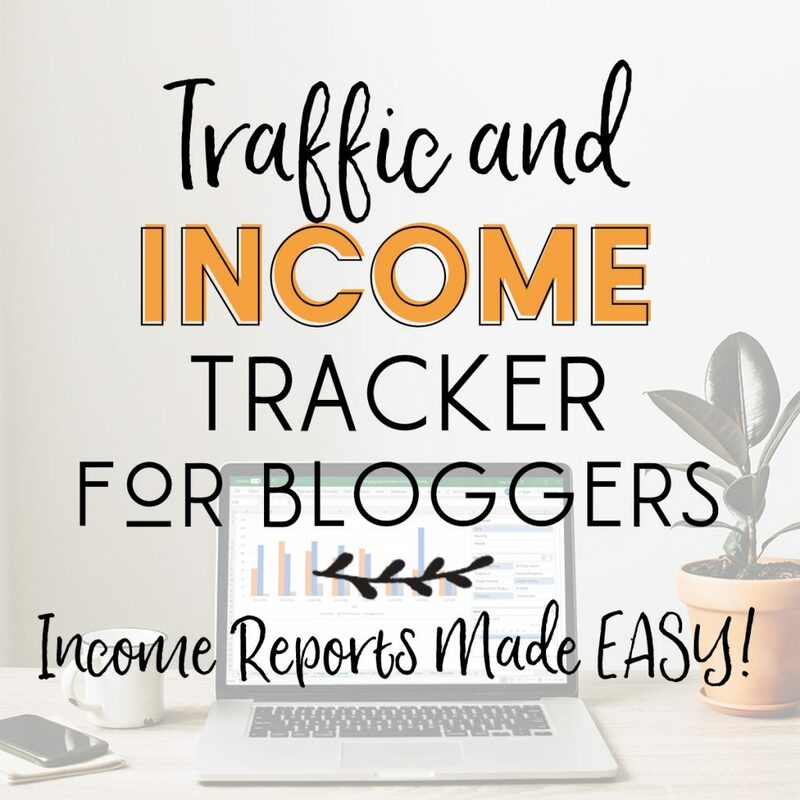 Subscribe to receive a FREE Excel Time Tracking Tool! 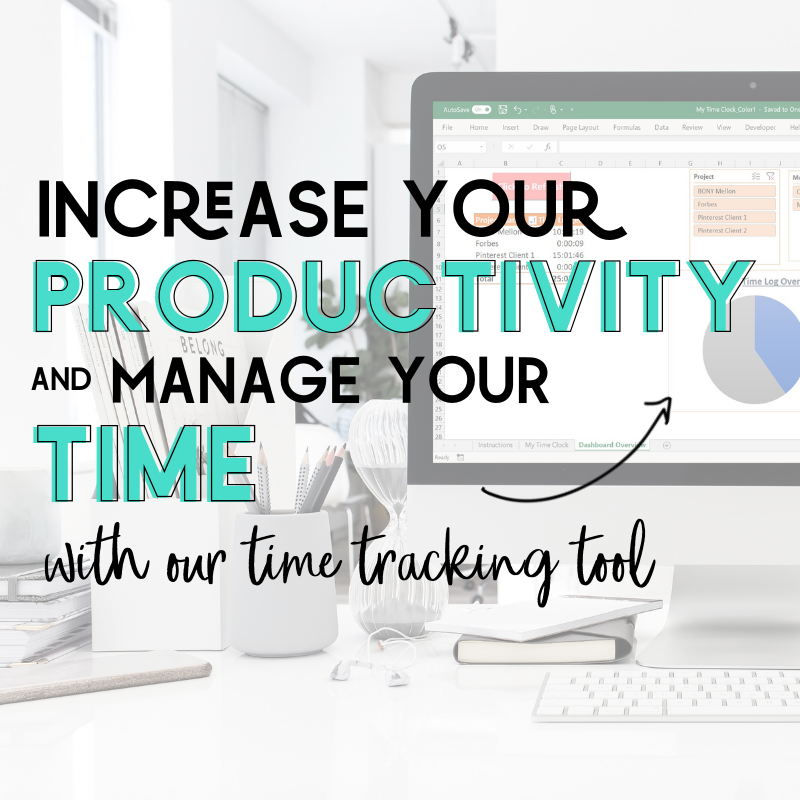 Download this free basic time tracking tool to improve your time management and overall productivity! Or, click here to read about the advanced version! Plus, stay updated with all the latest in money making, money saving, entrepreneurship, achieving financial freedom and more!